✮✭XxFreeSpiritxX's Animal Jam Freedom✭✮: Hater User identity case...?! Well, sorry for this random but IMPORTANT post. BUT....Check out this Jammer's Name. 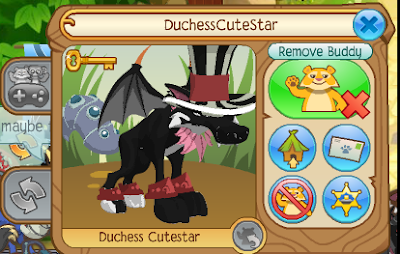 Yupp, DuchessCuteStar the...Famous Rare Jammer? What do you guys think? 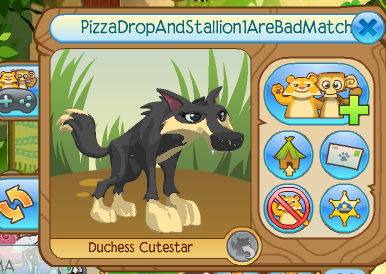 Did DuchessCuteStar make this Hate User about Pizza and stall? its possible she did that... it would be dumb of her to make the name HER name though!!!!! WOW! What a huge Update! Nothing New --- A surprise! New Column, Monkeys, And Glitches! Lantern and the Hide case SOLVED! HIDE: The Great & New items! New Items and Important Info! Beta, Beta, Beta?! 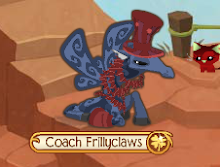 & Aj too obsessed with rares?